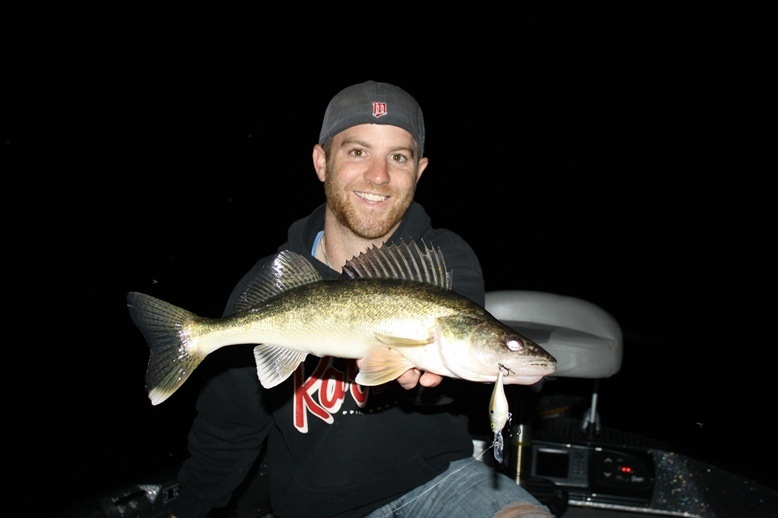 Trophy Encounters Guide Service | Walleye's Gone Wild! 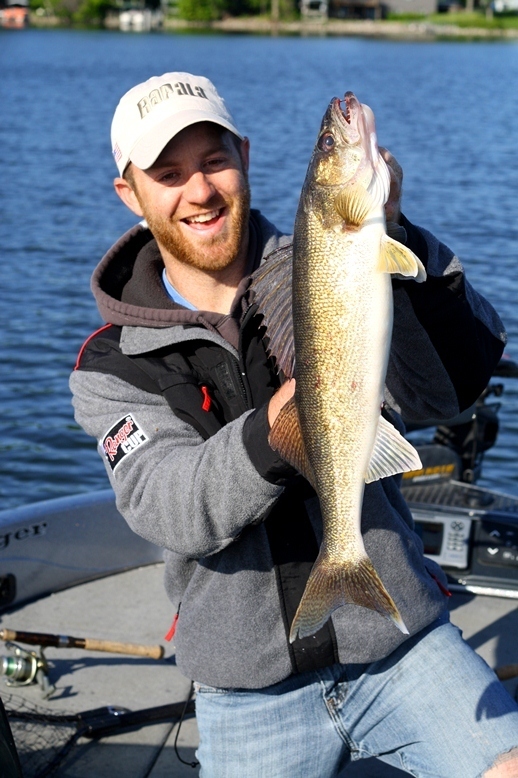 If you like walleyes, you better not wait. The bit is on! Lake Minnetonka is loaded with fish and they are chomping right now. Big ones, little ones and everything in between. Last week was the first full week of the 2012 season and it didn't dissapoint. I made four trips out on the local pond and each trip gave us big walleye smiles. The most deadly weapon last week was a jig and minnow worked along the milfoil edges. Second was a Rapala cranked along the same weedlines. Lastly, we had several walleyes fall victim to a slip bobber with a leech. All of these tactics worked, it just depended upon the preference of the angler. 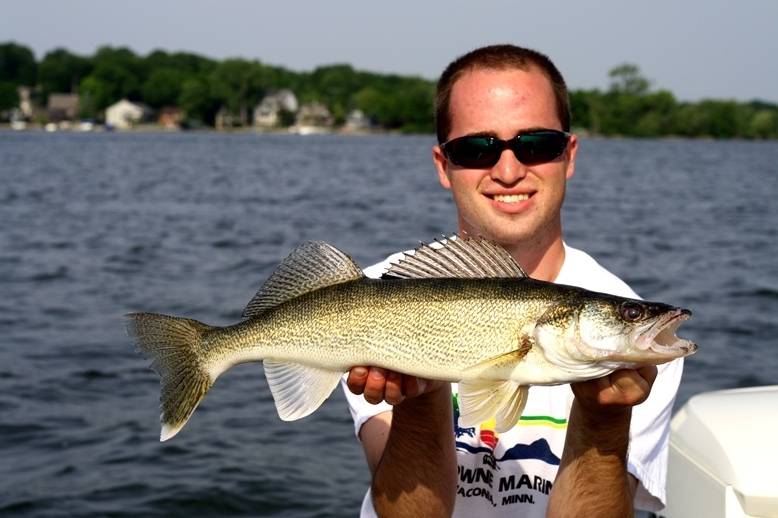 On Lake Minnetonka, it seems that the early season walleyes are most active under 10 feet of water. This year is no different. I have yet to fish deeper than 7 feet of water. The best bite is early and late, but the right areas will kick out fish throughout the day. One interesting note is that we have been catching bigger fish during the high sun. Why? That beats the heck out of me. All I know is that it's a good problem to have and nobody has been complaining. Of the four trips last week, one stands out most. 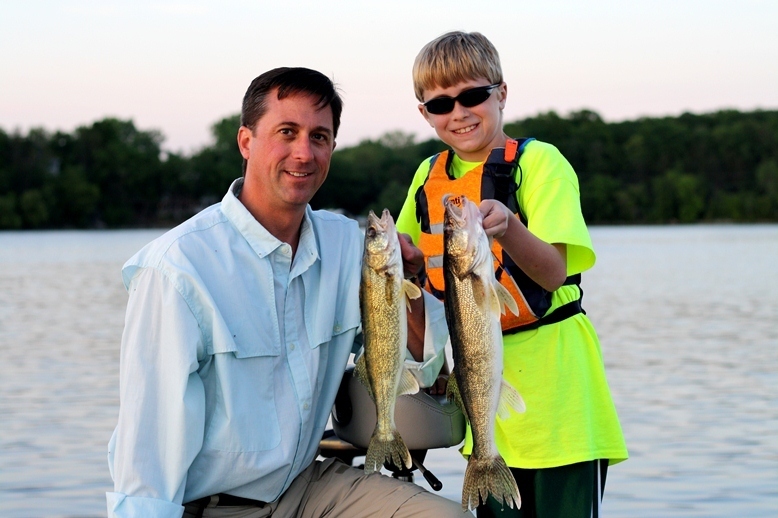 I had the chance to take a father and son out for their first attempt at Tonka walleyes. The goal was to learn how to fish walleyes. Mission accomplished. Together they put a whooping on 'em. As fast as I could re-bait the hook, young Jackson was setting the hook. He caught his first walleye ever, followed by many more. 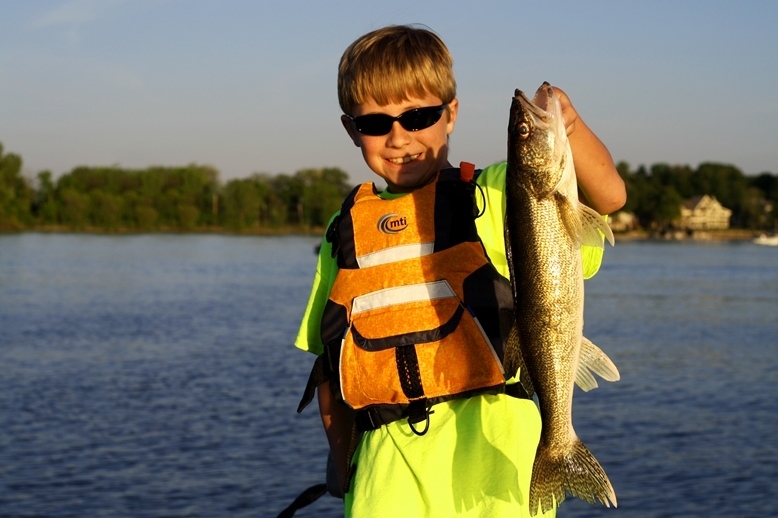 Heck, the 9 year old phenom landed 4 walleyes before his dad even caught one. He ended the night with the first fish, the most fish, and the biggest fish. It was a special night on the water. One that really makes me enjoy my job. Thank you to all that have made the first week so memorable. 2012 is going to be a year to remember. Until the next fish strikes, keep on livin' the dream!